Facebook has agreed to share information on 3,000 ads that ran in the US it believes was paid for by a Russian entity with US congress. The social network announced its discovery of these ads, which ran between 2015 and 2017 and were paid for a company called the Internet Research Agency, two weeks ago and promised to provide information to the special counsel investigating allegations of Russian interference in the 2016 US election. The ads, and accounts associated with them, focused on amplifying divisive social and political messages across the ideological spectrum — touching on topics from LGBT matters to race issues to immigration to gun rights, Facebook found. Since then, the social network has received criticism for not sharing this information more widely. Overnight (UK time), Facebook's general counsel Colin Stretch said in a blog that the network would also share its discoveries with US Congress as the company now believes it is "vitally important that government authorities have the information they need to deliver to the public a full assessment of what happened in the 2016 election." Stretch explained that the decision to share this information had taken awhile as, "disclosing content is not something we do lightly under any circumstances". He continued: "We are deeply committed to safeguarding user content, regardless of the user’s nationality, and ads are user content. Federal law also places strict limitations on the disclosure of account information." Google and Twitter, have been taken to task repeatedly for not doing more to prevent the spread of fake news, extremist content and manipulative messages. Most recently, UK prime minister Theresa May challenged these companies in front of the United Nations to take down extremist content within two hours. 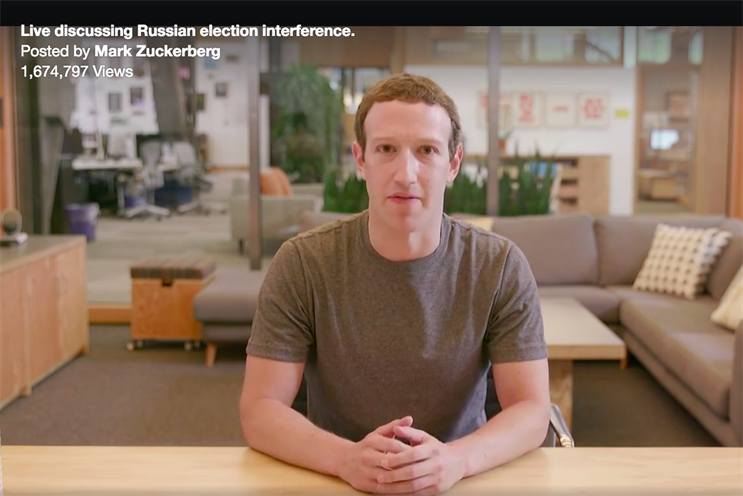 Facebook chairman and chief executive Mark Zuckerberg held a live discussion on the platform expressing his concern over how Facebook was used and his determination to "strengthen the democratic process". He added that the company has been actively working to ensure the integrity of the German elections.